ST. LOUIS • For those who thought the city’s ambitions of becoming a Major League Soccer town died at the ballot box last year, there is hope — and its name is Taylor. A multigenerational cohort of the founding family of global car rental behemoth Enterprise Holdings is making a bid for one of the last two planned MLS expansion team slots. The Taylor family members forming the group would make the team majority-owned by women, the first in the league and one of few ownership groups controlled by women in all of professional sports. the potential for a rivalry with kansas city is obvious and great for both cities... kc fans in particular will be able to board a train and be dropped off near this stadium in proper fashion. this is also an area of downtown st. louis that could use ANY kind of shot in the arm. Were there any discussions to repurpose the dome? Not that i'm aware of. In theory that seems logical, but unfortunately the dome would be wildly out of spec of the parameters that MLS is looking for. I would not want to attend a soccer game in a dome. That's where the repurposing comes in - remove the roof and upper level and reconfigure parts of the lower section and field. May cost as much as a new stadium but address the abandoned dome and free up prime space next to Union Station/Freeway. my understanding is that it's used as an expansion for covered convention space and other things too large for the enterprise center (where the blues play), so its not completely abandoned, and they need it covered. the place feels like a giant tomb. we have plenty of space in downtown west for this thing (unfortunately). we have plenty of space in downtown west for this thing (unfortunately). Yep, that area west of Union Station (or just downtown west, in general) is definitely not "prime land". It is quite empty, and the interchange there now is essentially wasted space. Something like this stadium would be a massive upgrade, probably a best case scenario for that specific spot. That said, not sure another stadium/mega project is a cure for what ails downtown STL. I do love the sort of connector piece that is right up on Market Street in the old renderings, it's a great stadium design. Would have to assume MLS will be a big regional hit in STL, especially with the loss of the (now amazing) Rams. A fresh start with a home grown team in a sport that the city prides itself on; will be a fun rivalry! agreed on the bolded part. it's quite literally a bandaid for that specific area, which is an absolutely atrocious rustbelt grey-scape right now. it would actually be a highway removal, even though it's a spur for an unbuilt downtown loop. 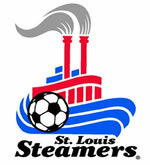 MLS will be successful in st. louis, i remember going to st. louis steamer games as a kid...theres a built in market. 17 home and 34 total games should be a nice shot in the arm for downtown west and more specifically union station, if not a cure. Any hope they could keep the Steamer's name? That would be awesome. Or any name, as opposed to what seems like the very lame trend for most new MLS teams to be "FC (city name)". I think I am one of the very few that is bothered by this. I like cheesy, fun american sports branding with diverse names, mascots etc. Imagine if say the NFL was Kansas City Football Team vs. New England Football Team on Sunday Night. Different strokes I suppose. The dome still has a lot of activity. It's a significant portion of their convention space. It would be a revenue loss to turn it into a single use outdoor facility for 10 to 12 dates a year. I mentioned this in the other thread, but I'm a little concerned that the MLS will fail to realize this and place them in the Eastern conference. We would still play them once a year, but I don't think it becomes a real rivalry without battling for playoff position and meeting in the playoffs. I could also see the STL ownership wanting to be in the Eastern conference since STL has always considered itself part of the "East." From interactions I've had, there is an aversion to being considered anything in relation to the West other than the gateway to it. They will probably claim a bigger potential rivalry with Chicago. It's behind the gate, so it's in the west. This hotel just started construction next door to the proposed stadium. I think it will be nice to help activate this area following the completion of the stadium (if we get an MLS team) in 2022. The hotel developer (Equis) already seems to be thinking ahead with an overlook into the future stadium. I think that with the Stadium we will see more development fill in this area and become some sort of Ballpark Village thing. Soccer is popular in St. Louis and I'm sure people would pay to live in apartments overlooking the soccer stadium. i think this perception is radically overblown by the rest of missouri (to me st. louis feels pretty far from the east...there's a scary amount of country between here and the pennsylvania border), and while a rivalry with chicago is obvious, too, you never know what may happen, something may cook off with nashville or something. but to me, kc is the obvious one in this case. i think the whole "kc soccer capital" thing infuriates st. louisans in a good way. Through no fault of their own, I feel that Cleveland has kind of ruined the Steamers name for good. It most certainly is Cleveland's fault.